The Squiggles Stander is a versatile, bright & colorful 3-in-1 stander for children ages 1-5. 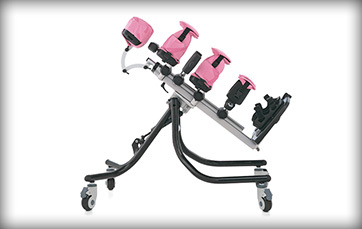 This allows the clinician to maximize postural requirements through pelvic stability, trunk and head alignment and leg and foot positioning support for standing therapy. 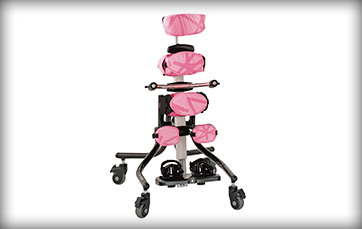 The Squiggles Stander is an extremely versatile 3-in-1 stander, offering prone, upright and supine standing in one product. 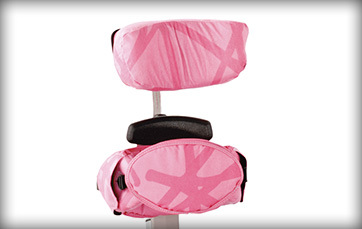 Whether prone, supine or upright, the chest and sternum pads, lateral supports and range of head supports provide trunk and head stability. 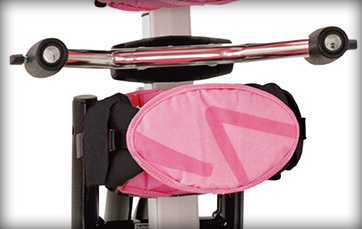 Height, depth, width and angle adjustable pelvic support ensures the pelvis is held in a secure and comfortable position. 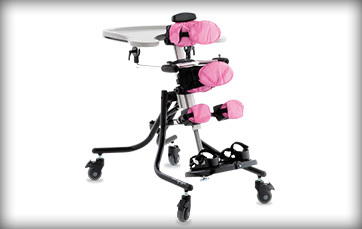 As legs and feet are taking the weight of the child, proper support is essential. 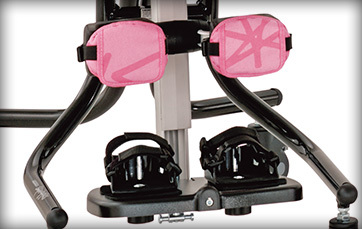 Fully adjustable knee cups and footplates ensure weight is distributed evenly and in the right places. 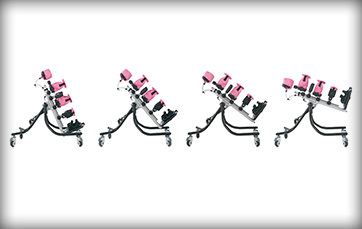 26.8 x 15.4 x 15.4"
32.3 x 21.7 x 20.3"
27.6 x 21.7 x 11.8"